I have had a child free day today so I thought I would share this treat box with you. I made this at a workshop I did last night. 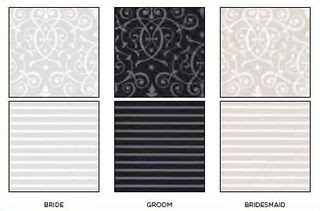 I love this Specialty Paper Bridesmaid cardstock, the possibilities with it are endless. It is foiled which gives it a fantastic shine, it also provides patten and texture to the paper. It comes in a pack of 10 with two different patterns. The foil foil imprinting resists the ink leaving striped or filligree paper in any colour you choose. So here we go the first thing that you will need to do is cut the cardstock at 10cm by 20cm. Next choose the colour ink you want to transform your paper into, in this case I chose Rose Red. Ink up your brayer, turn the ink pad sideways, it quicker as it fits the brayer perfectly. Now you are ready to colour the card stock! You will need to go over it several times to get good coverage. Clean off the ink that has remained on the foil with a piece of kitchen towel, this will bring up the shine. Now score at 10cm, mark each end at five and then score from the mark to the 10 cm score line. You are done. All you need to do now is fill your treat box with treats!!! I can not take credit for the box design, I have been making it for a while and I can not remember the original source.